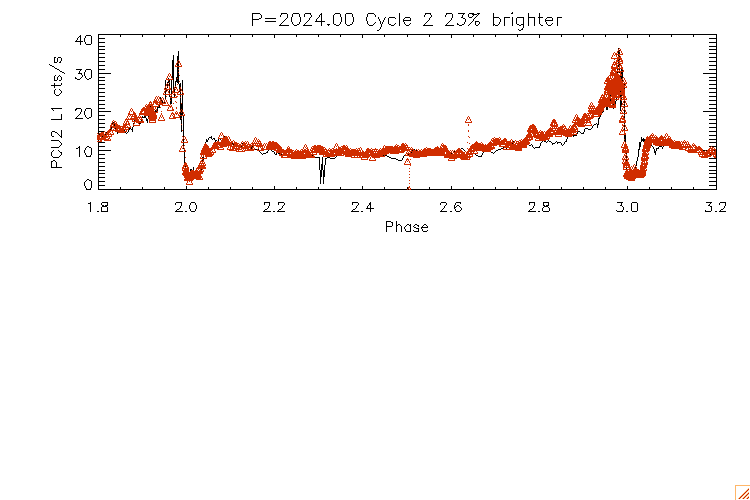 Click on the images above to view the RXTE Eta Car lightcurve. 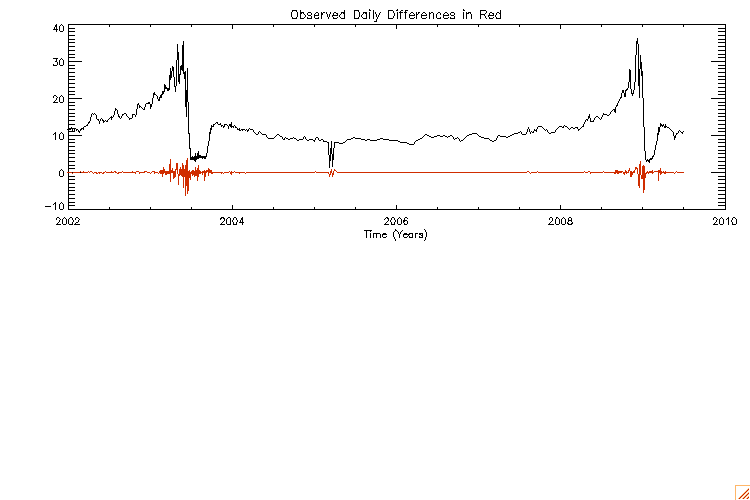 Swift Processed observations through 2013-07-23. 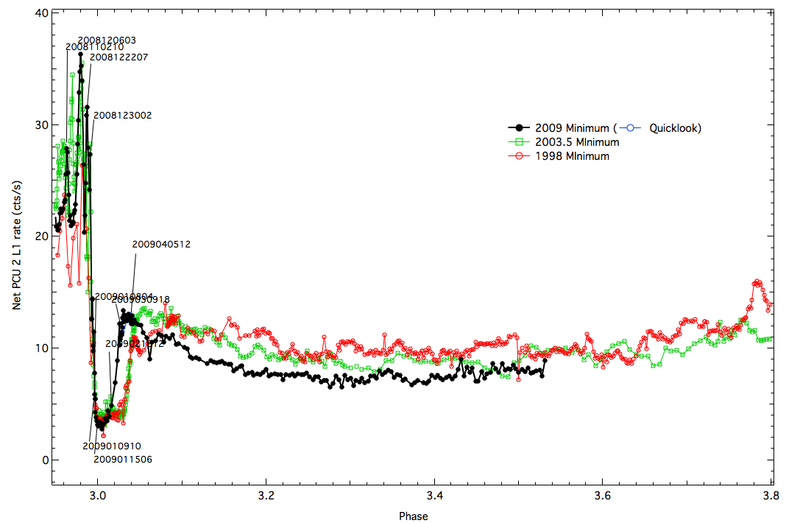 RXTE Quicklook observations through 2009-04-18. 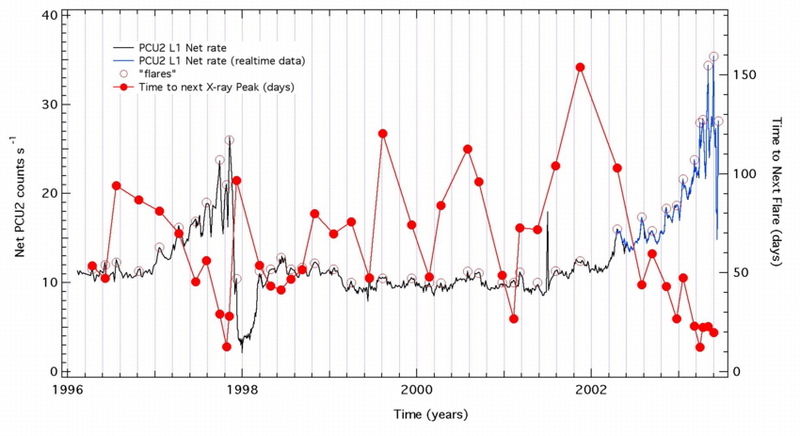 2004-Apr-22: The net rates are now calculated using the corrected PCU2 faint background models. See http://heasarc.gsfc.nasa.gov/docs/xte/pca_news.html for more details. 2007-Sep-21: The net rates are corrected for problems with gaps in the SAA history file and problems in the background model. See the report PCA SAA History and Background Problems for more details.